The Emerald Necklace is designed from the Greek silver symbol. The meander motif took its name from the river Meander, a river with many twists, mentioned by Homer in Iliad. The motif is also known as Greek key or Greek fret. The hero of the piece is the genuine Emerald faceted gemstone. 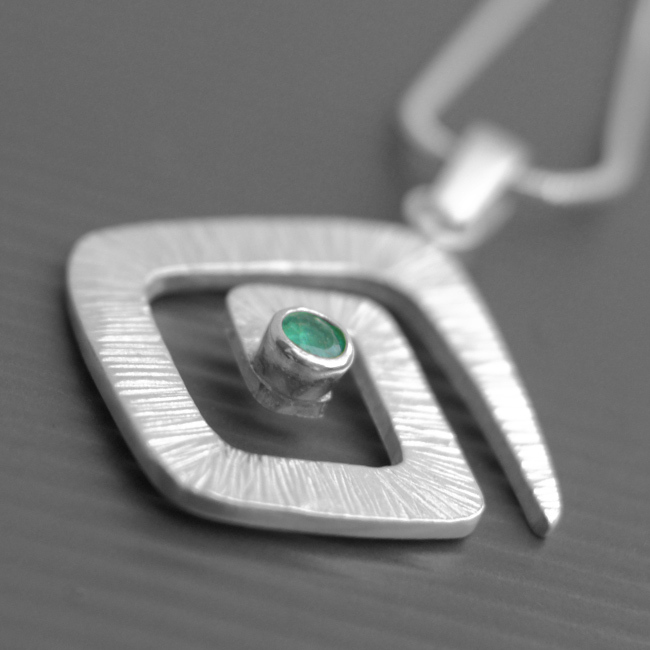 This Emerald necklace is handmade using sterling silver. SKU: N/A. Availability: In stock Size: N/A Categories: All Jewellery, Necklaces, Birthstones, Collections, Birthstones. 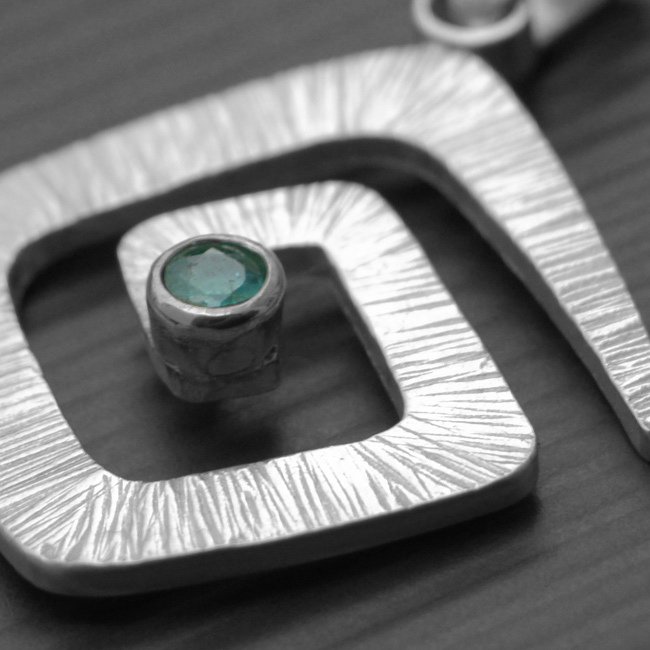 Tags: bespoke silver, birthstone, emerald, gemstone, greek, greek fret, greek key, handmade silver, jewellery designer, jewellery maker., liverpool, LWSilver, necklace, silversmith, sterling silver, uk, wirral. Materials: 925 sterling silver/Emerald gemstone. I purchased this necklace from LW Silver for my lovely lady, and the craftsmanship, care and attention to detail put into the bespoke piece was unbelievable. We both absolutely loved it. LW Silver is a jeweller I have purchased from before and will do again, she is in a league of her own and I would recommend her to anyone, as the results are always so good. Fantastic!